We had a great Thanksgiving, and we're on our way to a terrific Christmas as well...in sunny Florida...woohoo! In preparation of Christmas, I am making a lot of my gifts this year. 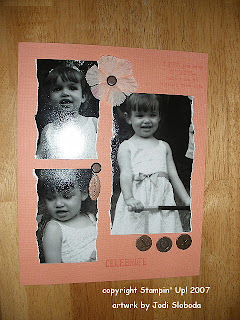 All of these photos are pages I made for my sister-in-law. I plan to frame them all. 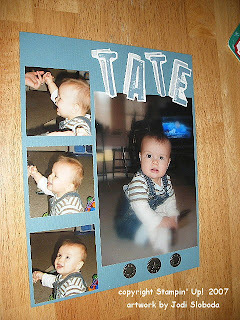 The first is a page I made of my nephew, Tate, at Thanksgiving. Isn't he a cutie? I love this page! Next is his big sister, Grace. 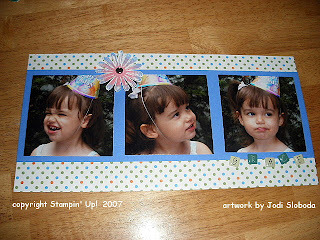 As you can tell from her party pics (the last photo), she is quite a character. I am so happy with all these pages. I'm doing similar things for most everyone in the family. I can't wait to see everyone when they open them. I know that anytime I've given photos in the past, they've really liked that. I'll post more once I've made them. I've got lots to do this week to get them done. We're celebrating Christmas with my in-laws on Sunday since we will be gone over the real holiday. Hope you are anticipating a great holiday as well!